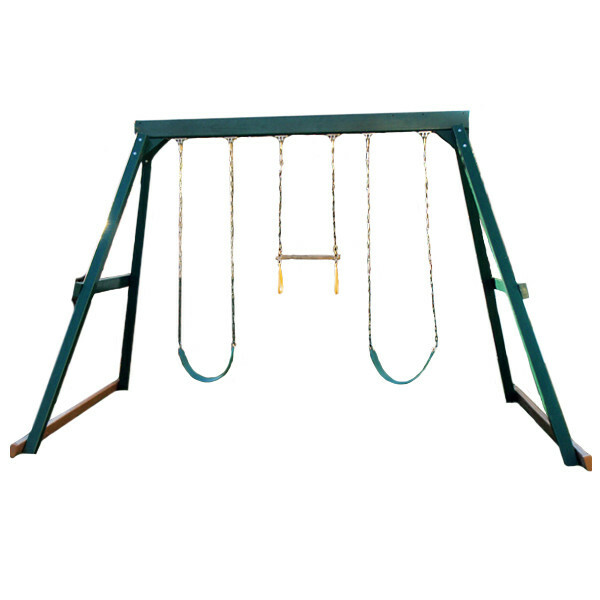 Whether you have a smaller than average backyard or are just looking for a great starter playset at an affordable price then the Congo Swing Central 3 Position Swing Set is just what you need. 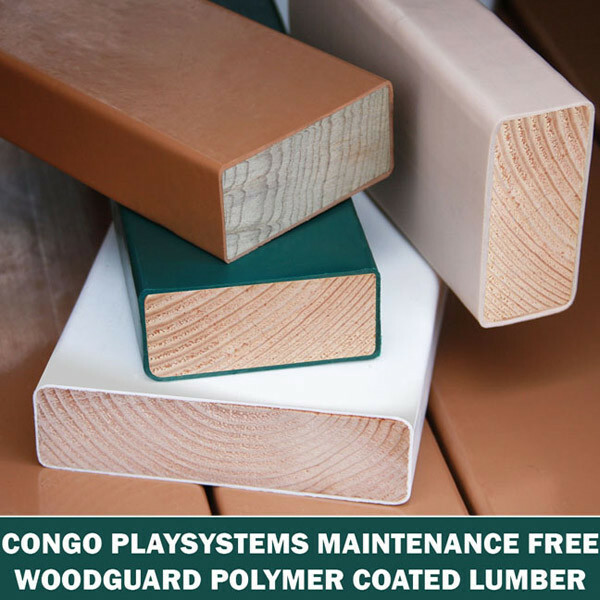 This ready to assemble, wooden swing set doesn't come with all of the bells and whistles-or should we say slides and accessories-that many of Congo's swing sets feature, but that doesn't mean it can't provide hours of fun. Kids will love flying through the air on one of the 2 sling swings or hanging upside down on the trapeze bar. 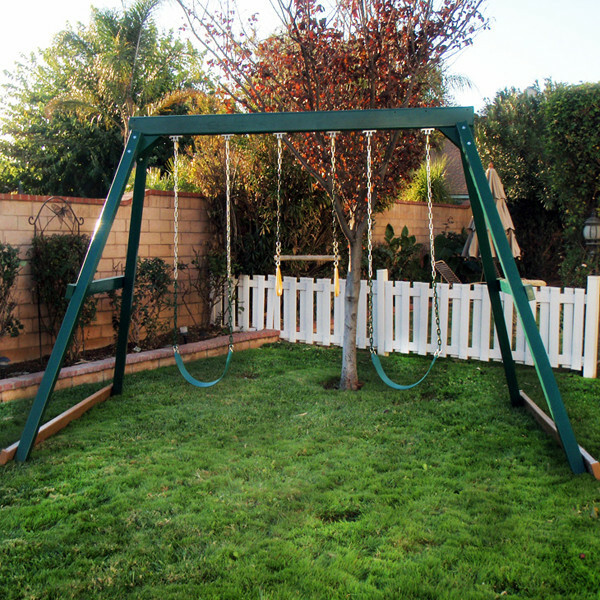 The wood components of the Swing Central come to your home pre-drilled and pre-cut so with a few pieces of hardware, some tools, and the step by step instructions you'll have your playset up in no time. 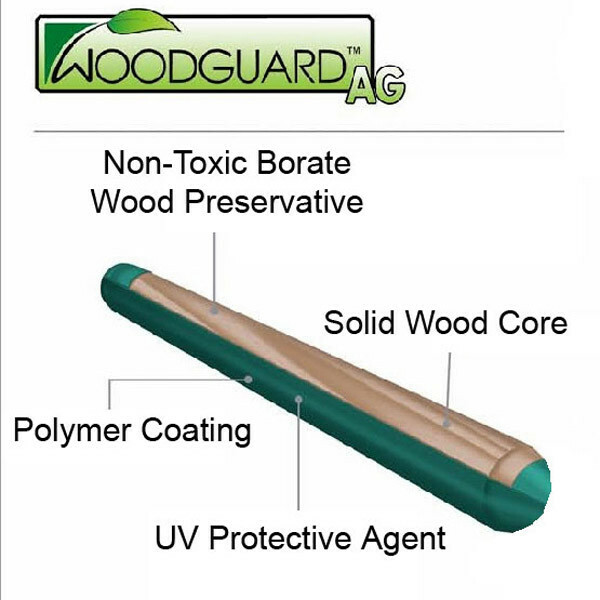 The premium Woodguard lumber is treated with borates and coated with a recycled polymer coating making it eco-friendly and maintenance free. You'll never have to worry about splinters, chipping, cracking, fading, or warping.